While normally all our products are bulk packed in 20-25 Kg HDPE woven bags with PE liners, we can pack the products in customer specific packaging. We can help you develop specific packaging including art designs, printing and labeling. We are engaged in providing flexible packaging services, private label packaging services, etc. AayurMed offers services to its customers for sourcing Indian products that AayurMed does not deal in. Our extensive network of connections with Indian businesses and our deep knowledge and experience of sourcing a variety of products for our own business provides us the capability to source any Indian products that you might need. We also cultivate herbs for our customers under contract cultivation arrangement. Under this arrangement we dedicate land and other resources for cultivation of specific herbs exclusively, for a customer and the customer in turn agrees to buy the entire output. The seeds can either be supplied by the customer or we can source it from an approved source. The entire process of cultivation is documented at each stage and complete transparency is maintained. Our cultivation is entirely organic even where there is not such obligation from the customer. If required by customers, large areas can be mobilized by enlisting other growers. 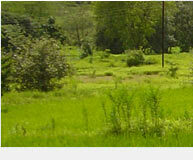 Out staff is trained to comply with good agricultural practices and specific requirements of the customers. 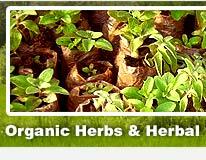 We also offer contract farming arrangements with 100% buy back for some of the herbs. We supply seed/plants and complete guidance on cultivation practices. The buyback can be both on guarantee basis or underwriting basis. Growers interested in taking up contract farming are welcome to contact us.